About Paleo Kits and Steve’s Club. What happens when you read something like this – something that happened in your community? When you read such things, do you shake your head? Read it out loud so your husband/wife/dog can be disgusted too? Do you change the channel? Turn the page? Or do you start training, supporting, mentoring, and providing a safe place for victimized, poorly protected, at-risk youth to go? Because that's what Steve Liberati did. In fact, that story wasn't some sad clip from the local paper. That story was recounted by the victim's sister, who found a safe place to train – to exist – at Steve's Club. 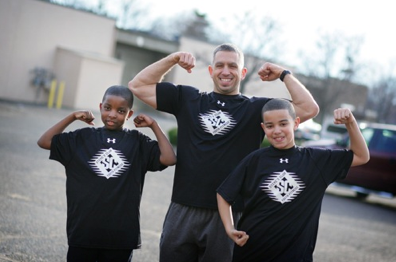 Steve's Club provides athletic training and mentorship to at-risk youth. It opens doors, changes lives, and creates mentally strong, goal-oriented youth. So pardon me if I haven't told you about Steve's Original before. 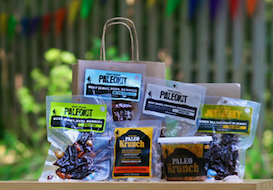 Steve's Original products (originally, the Paleo Kit; now a whole line of Paleo-friendly, crap-free products) were created to support the mission of Steve's Club (and now Steve's Club National Program). A brief history of Steve's Club and the Paleo Kit can be found here. I talk about these guys a lot. So now you know!